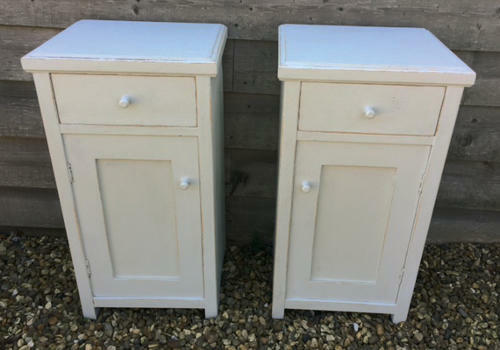 Rare Matching Pair of Painted Bedside Cupboards. Simple classic design, drawer with shelf and a single drawer to each. So hard to find matching pairs!